We recently received a question from a lady who was concerned about the interaction of pension and gift aid relief. What was seemingly a simple question, involving two tax reliefs, is actually surprisingly complex, as is often the case with tax. There are two main ways of obtaining tax relief for personal pension contributions, ‘tax relief at source’ and ‘net pay arrangement’ methods. The two methods work in different ways and you need to know which method applies to the pension contributions you are making. If you are making personal pension contributions direct to the pension provider then this is the method used. The contribution is paid net of basic rate tax to the provider who then claims the tax from HMRC. The amount invested in your pension plan is the gross amount. For example, you pay £1,000, your provider claims back from HMRC £250, and adds this to your £1,000 to invest a total of £1,250. The £250 claimed from HMRC is 20% of £1,250. If your pension contribution is deducted from your pay, you may be under the net pay arrangement. Under this method, your employer deducts the contribution from your pay before tax, but after national insurance. Using our example, £1,250 will be deducted from your pay and paid over to the provider. In this case no amount is claimed by the provider. Tax relief is automatic, as the amount of your pay which is taxed is reduced by the £1,250 contribution, for a basic rate taxpayer this gives a tax reduction of £250. Pension contributions under the relief at source method can also be paid through the payroll. In this case, the pension contribution is deducted from your net pay, after tax. If you pay tax at the basic rate, it doesn’t matter which method is used. However, it does make a difference if you are a higher rate tax payer or your earnings are low, where you pay little or no tax. If you are a higher rate taxpayer, under the relief at source method, you will need to separately claim the higher rate pension relief on the contribution you pay. Under the net pay arrangement, the full relief is obtained automatically. If your earnings are below the personal allowance threshold (£11,850) or only just above it, you may not get full relief for your contribution under the net pay arrangement. For example, if your pay is £12,000 per annum, and you pay a monthly pension contribution of £500, so £6,000 a year, under the net pay arrangement, you pay no tax and £6,000 is invested in your pension plan. If you pay under the relief at source method, you pay a small amount of tax, £30, but the pension provider claims £1,500 from HMRC to add to the £6,000 you paid, so the investment into your pension plan is £7,500. You are then £1,470 better off. 1. You can always make a contribution up to lower limit, even if you have no pay, but you will only get relief (£720) under the relief at source method. Note, this also applies to children. 2. 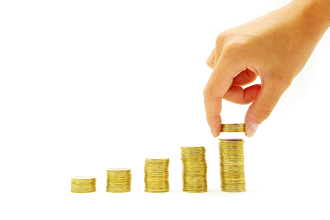 The annual allowance for any year can be increased by unused allowance from the previous three years. 3. The annual allowance is restricted for higher earners, broadly where earnings including pension contributions (employee and employer) exceed £150,000, the allowance is reduced by £1 for every £2 excess, until the allowance is reduced to £10,000 where earnings (including contributions) exceed £210,000. Our answers, whilst provided to the best of our knowledge, are for general guidance only. More specific advice should be obtained before taking action. We accept no liability for any action taken on the basis of the above views.